For every milestone in both our daughters lives, Bridal Reflections has been who Noel and I have turned to for helping the day become extraordinary. You have been with us at bat mitzvah's, sweet sixteens, proms and now for our daughter Stevi's wedding. You have shared in the joy and excitement of each occasion fitting myself, Stevi and Chelsey with the perfect dresses. We consider the Bridal Reflections family our family. Your attention, kindness and way you make each of us feel special, by helping to find just the right dress to fit each of our individual style, makes you the masters of your industry. We knew as soon as Stevi became engaged, that there was no other bridal Salon that could help her to find the perfect gown. When Stevi came out in a Stephen Yearick design, her face said it all. She was radiant! As Cristina said so eloquently, "Stevi is made for the gown and the gown is made for her. She becomes transformed from little girl to young woman." It amazes me as I see her standing in her wedding gown on her wedding day. Every guest was in awe of how beautiful she looked. Her gown was like no other, absolute perfection! When we walked out to walk her down the aisle, I actually heard our guests breath being taken away. 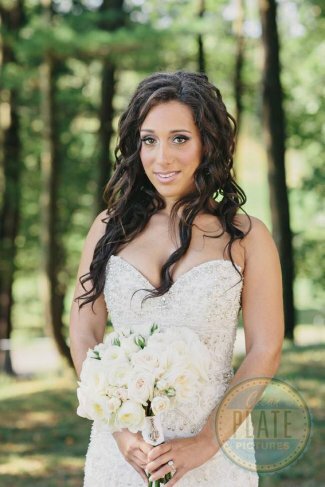 Once Stevi found her gown, we turned our attention to Chelsey, her sister and maid of honor. It was so important for Chelsey to feel special and beautiful too. Who would ever imagine that the very first dress she slipped on, would be the one. Just like Stevi, her face lit up and we knew that dress was "the one." She looked incredible. Donna, Noel, Stevi and Chelsey attention to Chelsey, her sister and maid of honor. It was so important for Chelsey to feel special and beautiful too. Who would ever imagine that the very first dress she slipped on, would be the one. Just like Stevi, her face lit up and we knew that dress was "the one." She looked incredible.